Bluehost: Do you need to create a portfolio site or get your business online? We highly recommend checking out Bluehost. Unlimited space and add-on domains are one of the many reasons you should give it a try; even if you just want to experiment with web design. Use this link to get your own domain name for special pricing. issuu : Do you already have a formatted print portfolio and are just looking to put it online? issuu’s specialty is the ready-to-print e-magazine host. 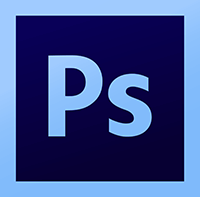 Adobe Photoshop CC: The industry standard graphics editing software, Photoshop is an intuitive and endlessly useful tool to have at your disposal. Now you can purchase the latest version of Photoshop with Lightroom for only $9.99 per month, making it affordable to individuals whether you will be using it professionally or as a hobby. Sketchup : The fastest and easiest to use 3D modeling tool. What started as a lightweight sketch-like alternative to the established rendering and solid modeling software has become a serious application for visualization, crossing many different industries. Sketchup is available to download in free and pro versions. Audible: Do you have a growing list of books you’d like to read but just can’t find the time? Audible’s huge collection of audio books are perfect to listen to while working in studio or while traveling. You can get two downloads for free when you start a 30-day free trial today. Scott Brick’s reading of Devil in the White City is excellent. Listen to a Movie : The title is self-explanatory. This site has been a savior of highway hypnosis for years. Check it out now before the studios crack down on this mp3 database of ripped movie audio. Visualizing Architecture : Personal site of an architecture visualization expert Alex Hogrefe. His tips for post-production in Photoshop from a simple SketchUp model will transform your workflow. If you have a favorite resource you would like to share, send a message via our contact page.